The road trip to Aragon MotoGP has begun. From home we’ve ridden to Portsmouth and I’m now sat on the Brittany Ferries crossing making our way across the Bay of Biscay on route to Santander in Northern Spain. Our original plan was to ride through France and in to Spain but having done a bit of research into it, it got me thinking about taking the ferry. So as opposed to spending hours and hours on monotonous and expensive French toll motorways and the thought of staying in a salubrious F1 hotel, we’re doing the first part of the trip by sea. It means there’ll be no boring, tyre squaring motorway mileage plus we’ve got our own cabin. The other huge advantage in my book is that once we do get off the ferry, we’ll be on good roads, with the Pyrenees mountain range just a stone’s throw away. In preparation for the trip I’ve swapped the Continental TKC80 tyres and spoked wheels I’ve been using for recent off-road escapades and re-fitted the original cast wheels complete with new Continental Trail Attack 3 sport/touring tyres. I’ll also put the rubber inserts back into the new bigger Rally style footrests, for extra comfort. All we’re waiting for now is to dock into Santander and start the ride south. 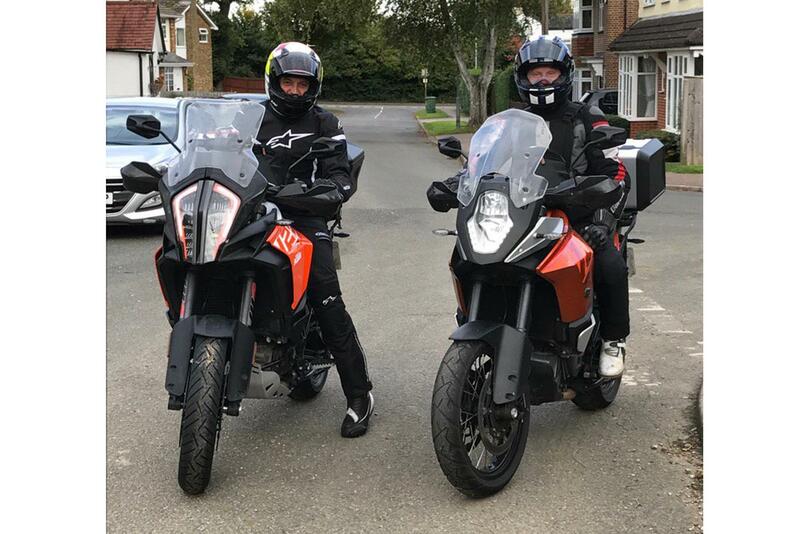 MCN Fleet: KTM 1290 Adventure S – Arrival imminent!